Alcohol Monitoring Device (SCRAM) – The primary, if not the only, continuous transdermal alcohol monitoring device is an ankle bracelet marketed in the United States as the SCRAM device. SCRAM is an acronym for Secure Continuous Remote Alcohol Monitor. It is a transdermal (excretion of alcohol through the skin by perspiration) alcohol monitoring is a type of technology used to monitor alcohol consumption by the analysis of perspiration through a person’s skin. Arraignment – In Tennessee, an Arraignment is also commonly referred to as an “Initial Appearance.” This procedure, which may occur before the first court or hearing date (sometimes via video teleconferencing at the jail), is typically held before a Tennessee Judge or Magistrate. An Arraignment can also occur in Criminal Court following the return of an Indictment or Presentment. BAC or BLAC –Blood Alcohol Content (BAC). See also Chemical Test. BRAT or BLAT – Breath Alcohol Test (BRAT) or Blood Alcohol Test. See also Chemical Test. Breathalyzer – A device used by Tennessee law enforcement officers to measure a person’s Blood Alcohol Content (BAC). The device used primarily in Tennessee DUI cases is the Intoximeter EC/IR II. Boating Under the Influence (BUI) – In Tennessee, a person may be convicted of a Boating Under the Influence offense (BUI) if they operate or physically control a boat or other water vessel while under the influence of any intoxicant or while their blood alcohol content is .08% or more. Chemical Test – A test or tests administered to determine the drug and/or alcohol content of a person’s blood. Following a Tennessee DUI arrest, a person may be required to submit to the officer’s choice of a blood, breath, and/or urine test. Criminal Court – Criminal Court is the highest trial court in Tennessee. At the Tennessee Criminal Court level a defendant is provided, among other rights, the right to a jury. Diversion – In Tennessee, a defendant may be eligible for either a Pretrial Diversion or a Judicial Diversion, depending upon the facts and circumstances of the case. Although both a Tennessee Pretrial Diversion and a Tennessee Judicial Diversion allow the defendant’s case to ultimately be dismissed if he or she successfully completes certain conditions, it may not be in the best interest of the person to accept this resolution of the Tennessee criminal case. Accordingly, this should carefully be discussed with your Tennessee criminal defense attorney. 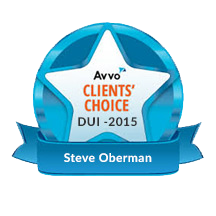 Tennessee Driving Under the Influence (DUI) cases are not eligible for any type of diversion. DUI Court – In Knoxville, Tennessee (Knox County) and many other areas of Tennessee, one division of the General Sessions Court is devoted to the prosecution of Driving Under the Influence (DUI/DWI) cases. These divisions are often referred to as “DUI Court.” Typically, the assistant district attorneys in these courts receive special training to better prosecute Tennessee DUI cases. DUI School – If convicted of a Tennessee DUI offense, a person may be ordered to attend a DUI School, which is an educational program intended to teach Tennessee DUI offenders the risks associated with driving under the influence. Driving While Impaired (DWI) – In Tennessee the offense of Driving While Impaired (Adult DWI) no longer exists. 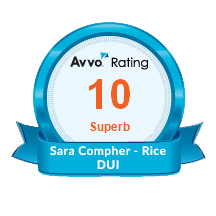 However, the term DWI if often used interchangeably in Tennessee and across the country with DUI (Driving Under the Influence). An individual in Tennessee who is under 21 years of age may be charged with the offense of Underage Driving While Impaired (DWI). This may occur if the underage defendant operates or is in physical control of a motor vehicle while under the influence of any intoxicant or while their blood alcohol content is .02% or more. This underage offense has very different penalties and consequences than an “adult” driving under the influence (DUI/DWI) case and should be discussed with a Tennessee attorney trained in the defense of Underage Driving While Impaired (UDWI) cases. Felony DUI – In Tennessee, a fourth or subsequent offense DUI is characterized as a felony offense. Field Sobriety Test (FST or SFST) – Field sobriety tests are physical coordination tests administered by a Tennessee police officer or other law enforcement agent as part of a Tennessee DUI investigation. The tests may be either standardized (SFSTs) or non-standardized (FSTs). General Sessions Court – In Tennessee, the General Sessions Court has the authority (jurisdiction) to address both civil and criminal cases. Tennessee Driving Under the Influence (DUI) cases often begin in General Sessions Court. In fact, in some counties, including Knox County, Tennessee, one division of the General Sessions Court is designated to oversee only DUI cases. Grand Jury – A Tennessee Grand Jury is comprised of 13 citizens (1 foreperson and 12 other grand jurors) who take an oath of secrecy. One purpose of the Grand Jury is to determine if probable cause exists for a criminal charge, such as Driving Under the Influence (DUI/DWI). Habitual Motor Vehicle Offender (HMVO) – In Tennessee a person may be declared an habitual offender if convicted of a certain number of the following Tennessee offenses within a 3-year period: (1) voluntary or involuntary manslaughter resulting from the operation of a motor vehicle; (2) vehicular homicide; (3) vehicular assault; (4) violation of meeting or overtaking a school bus; (5) failure to stop at the scene of an accident resulting in injury or death; (6) failure to stop at the scene of an accident resulting only in damage to a vehicle driven or attended by any person; (7) driving under the influence (DUI); (8) aggravated vehicular homicide; (9) adult driving while impaired (DWI); (10) reckless driving; (11) drag racing; (12) evading arrest in a motor vehicle; (13) reckless endangerment by use of a motor vehicle; or (14) driving on a cancelled, suspended, or revoked license where basis of cancellation, suspension, or revocation is any of the above offenses. Once declared an habitual motor vehicle offender (HMVO), the person will be prohibited from driving in Tennessee. A violation of this prohibition will subject an HMVO offender to a felony charge. Horizontal Gaze Nystagmus (HGN) – The Horizontal Gaze Nystagmus (HGN) test is one of the three field sobriety tests that have been standardized (SFSTs) by the National Highway Traffic Safety Administration (NHTSA). During this SFST, an officer is looking for nystagmus, which is the involuntary jerking of the eye. It can be an indication of intoxication. However, the occurrence of nystagmus is not entirely dependent upon the presence drugs or alcohol, as it can be induced by many other causes. Ignition Interlock Device – An Ignition Interlock Device (IID) is a device that connects a motor vehicle ignition system to a breath-alcohol analyzer. This device is designed to prevent a motor vehicle ignition from starting if the driver’s blood alcohol level exceeds a certain setting on the device. Depending upon the facts and circumstances of your Tennessee DUI case, if convicted you may be required to have an IID installed in your vehicle. Implied Consent – A Tennessee Implied Consent Violation is often also commonly known as a Chemical Test Refusal charge. If arrested for Driving Under the Influence (DUI/DWI), a person who refuses to take a chemical test (blood, breath or urine) to determine the alcohol or drug content of her blood may also be charged with a violation of the Tennessee Implied Consent law. A Tennessee Implied Consent violation may result in loss of driver’s license, or in some instances, more severe criminal penalties such as jail time. KPD – The Knoxville Police Department (KPD) is a law enforcement agency that commonly makes arrests for DUI and other related crimes in Knoxville, Tennessee. KCSD or KCSO – The Knox County Sheriff’s Department (KCSD), also referred to as the Knox County Sheriff’s Office (KCSO), is a law enforcement agency that commonly makes arrests for DUI and other related crimes in Knox County, Tennessee. Litter pick-up – The litter removal penalty is mandatory when convicted of a first offense Tennessee DUI. Each Tennessee DUI first-offender is required to complete 24 hours of roadside litter pick-up and further required to wear a vest with the words “I AM A DRUNK DRIVER” written on the back of the vest in letter no less than 4-inches high. Misdemeanor DUI – In Tennessee, a first, second, or third offense DUI is characterized as a misdemeanor offense. One Leg Stand – The One Leg Stand (OLS) test is one of the three field sobriety tests that have been standardized (SFSTs) by the National Highway Traffic Safety Administration (NHTSA). PBT – A Preliminary Breath Testing Device (PBT), is similar in principle to a Passive Alcohol Screening Device (PAS). Both are portable devices used by law enforcement officers in the field to determine a person’s blood alcohol content (BAC). The Preliminary Breath Testing Device (PBT) is much more specific and accurate than a Passive Alcohol Screening Device (PAS) which simply tests for the presence of alcohol – generally in the interior of the vehicle. “Per Se” DUI – A Tennessee Driving Under the Influence (DUI) charge where the prosecution alleges that a person who is 21 years of age or older and is not driving a commercial motor vehicle had a blood alcohol concentration of .08% or greater. Restricted Driver’s License – Sometimes referred to as a “conditional driver’s license” or a “hardship license,” a Tennessee restricted driver’s license may be obtained under certain circumstances when a person’s Tennessee driving privileges have been revoked. A Tennessee restricted driver’s license allows a person to drive to and from particular geographical locations during specified days and times. Sobriety Checkpoint or Roadblock – Tennessee law enforcement agencies often establish roadblocks at pre-approved locations designed to stop Tennessee motorists and investigate drivers for Driving Under the Influence (DUI/DWI). The Tennessee Highway Patrol (THP) also may establish a roadblock for the purpose of ensuring that motorists have a valid driver’s license. SR-22 Insurance – A person convicted of a Tennessee Driving Under the Influence (DUI/DWI) charge and certain other related offenses and violations, will be required by the Tennessee Department of Safety to file an SR-22 Insurance form. Although many refer to SR-22 Insurance as a type of high risk insurance, it is actually a form providing proof of future financial responsibility (automobile insurance) and may be required for up to 5 years. THP – The Tennessee Highway Patrol (THP) is a law enforcement agency that commonly makes arrests for DUI and other related crimes in Knox County, Tennessee and other counties across the state. UTPD – The University of Tennessee Police Department (UTPD) is a law enforcement agency that commonly makes arrests for DUI and other related crimes in Knoxville, Tennessee. Victim Impact Panel (VIP) – In Tennessee Victim Impact Panel (VIP) programs are sponsored by Mothers Against Drunk Driving. A Tennessee court may order that a criminal defendant attend a VIP, where victims of drunk driving speak about how the crime of Driving Under the Influence (DUI/DWI) affects the lives of the involved families. Walk and Turn – The Walk and Turn (W/T or WAT) test is one of the three field sobriety tests that have been standardized (SFSTs) by the National Highway Traffic Safety Administration (NHTSA). Work Release – A work release order permits a person serving a jail term in Tennessee to leave the jail and work at the person’s place of employment or other locations permitted under Tennessee law. Work release is not guaranteed and depending upon the circumstances, may not be available for persons serving jail time for Driving Under the Influence (DUI).